Bitcoin is one of the "sophisticated financial alternatives to the dollar" that was predicted in a 1994 manifesto from a senior Intel Corporation scientist. 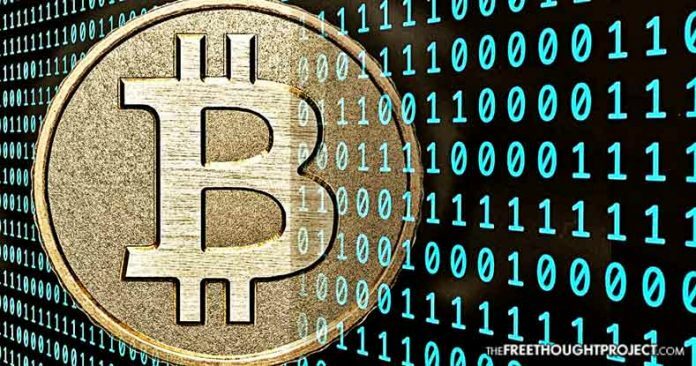 The world may never know the true identity (or identities) of Satoshi Nakamoto, the mysterious creator of Bitcoin, but the idea of cryptocurrency has actually been popular among crypto-anarchists and privacy experts for decades. Earlier this year, May gave a presentation at the hacker house Paralelní Polis in Prague where he recalled seeing Satoshi’s now-famous white paper appear on one of his mailing lists. “In the mid-2000s, around 2006-2007, a lot of people began revisiting digital currency. In 2008-2009 through the ‘cryptography mailing list’, the successor to the ‘cypherpunk’s mailing list,’ a person going by the name of Satoshi issued a white paper proposing a system which solved the Byzantine consensus problem in a novel way using Proof-of-Work,” May said. In the past year, cryptocurrencies have rushed to all new highs in value, and have now reached a market capitalization higher than Bank of America. As of market close at the end of last month, Bank of America had a $277.35 billion market cap, while the market cap for cryptocurrencies at that time was roughly $285 billion. Activists have had mixed feelings on cryptocurrencies over the years, but as more people learn about the intricacies involved, many are seeing the blockchain as a new battleground where war can be waged against central banks. Former Texas Congressman and Liberty advocate, Ron Paul, has recently been coming around to support cryptocurrency—even going so far as to tell CNN that Bitcoin could destroy the dollar, a day that he welcomes. “As a firm believer in currency competition, I’m excited to see the options what bitcoin opens up,” he added.